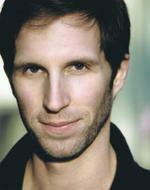 Blake DeLong is making his Florida debut at Palm Beach Dramaworks. He was most recently seen in The Mystery of Irma Vep at Actors Theatre of Louisville and will be seen next in Twelfth Night at Pig Iron Theatre Company in Philadelphia. Other theatre credits include Viva Los Bastarditos! at La MaMa, (FringeNYC Audience Favorite Award), as well as work at Connecticut Rep, Triad Stage, Axis Company, SoHo Playhouse, Chautauqua Theatre Company,and a season in residence at Shakespeare Theatre Company in Washington DC. Films include Sons of the Rodeo (Official Selections SXSW, Vail, Longbaugh), Expecting, Better Than Nothing, and We Need To Talk About Kevin (Official Competition Selection Cannes Film Festival 2011). He is currently producing and will star in the upcoming feature film Thank You A Lot featuring Texas honky-tonk legend James Hand. Training: UT-Austin Graduate Acting and The Public Theatre Shakespeare Lab.